It is Free Cone Day by Ben & Jerry's from 12 pm to 8 p.m. With the temperature in Las Vegas reaches around 90°F this afternoon first time in the year, it is the right time to enjoy some ice cream. 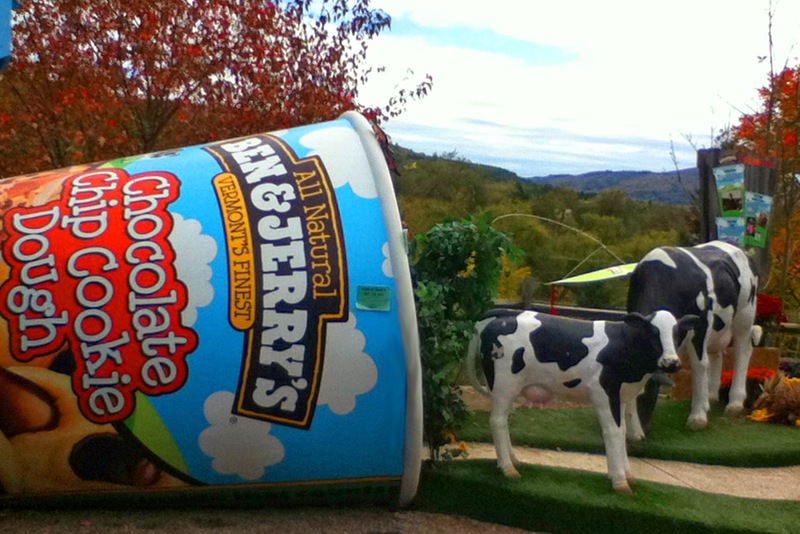 Ben & Jerry's is a Burlington, Vermont based ice cream company, founded in 1978. According to their mission statements, the company promotes progressive values by making commitment to incorporating wholesome, natural ingredients and promoting business practices that respect the Earth and the Environment; operating the company under a sustainable financial growth; and initiating innovative ways to improve the quality of life locally, nationally and internationally. Since their first anniversary back in 1979, Ben & Jerry's have presented Free Cone Day as a token for customer appreciation every year on April 8. Outgoing postcard US-2722693 to Hong Kong shows a photo taken at Ben & Jerry's main factory in Waterbury, Vermont on October 4, 2010 during the AYCJ trip on JetBlue.